Did you know the Missouri River Valley, aka the Missouri Rhine Valley, was the second largest wine producing state in the United States, prior to the 18th Amendment, which enacted National Prohibition in 1919 – the ban of alcoholic beverages. (Ohio was the first!) When the 21st Amendment took effect in 1933 doing away with that nonsense, the country could finally sip wine again (legally), but it forever changed the wine industry in the United States and those states that had initially lead the way. 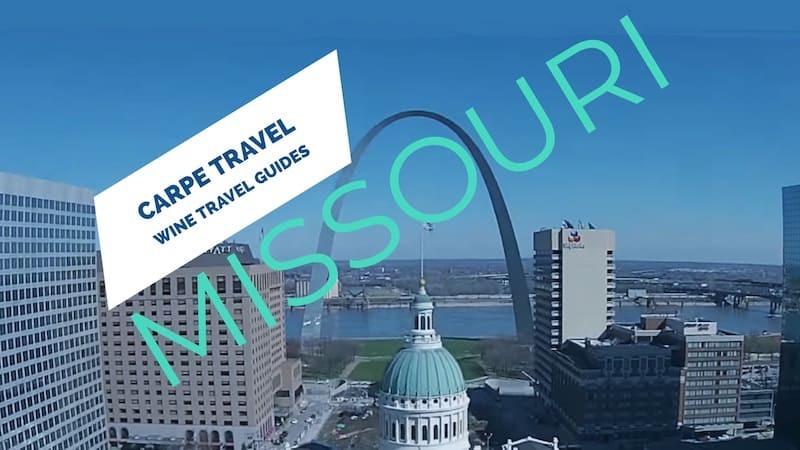 The following Missouri Wine Travel guide shares a brief history of Missouri’s wine country, along with where to sip, where to stay and things to do beyond the vines. Cheers! The Missouri Rhine Valley, otherwise known as the heart of Missouri Wine Country, is the area along the Missouri River between St. Charles and Hermann. It was the German researcher and explorer, Gottfried Duden who gave the area this name in a book he published in 1829 after extensively researching and exploring the area. The book gave romantic and glowing descriptions of the lower Missouri River Valley between St. Louis and Hermann, Missouri. It’s believed his book encouraged many Germans to immigrate to the state, resulting in more than 38,000 Germans settling in the lower Missouri River Valley between 1830-1860. FUN FACT: The settlers of Hermann doubled the size of the town’s roads because they believed it would one day be larger than Philadelphia. The German settlers brought their love of wine and the Rhine to the Missouri River Valley. 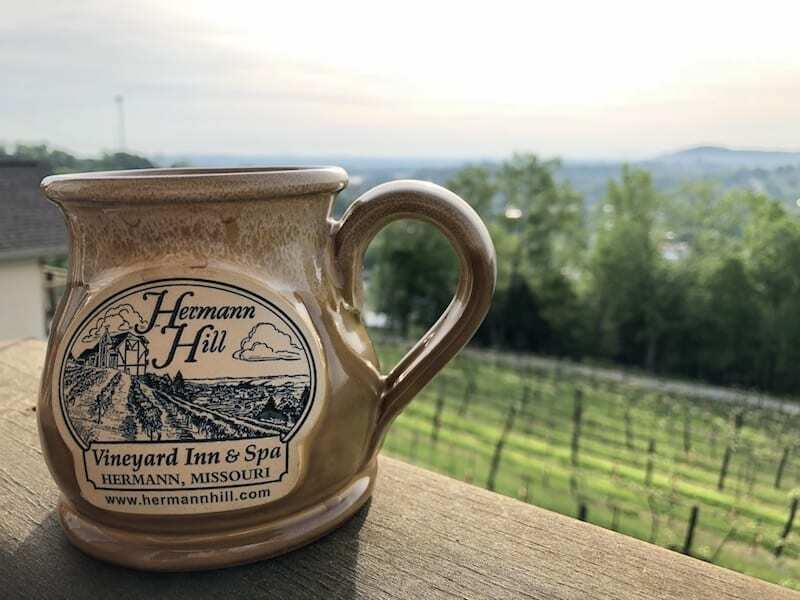 The first wine was produced in the town of Hermann in 1846 at Stone Hill Winery, still in existence today. The town of Augusta soon followed the grape-growing business, with so many local growers the town formed the first cooperative wine making effort in the Missouri River Valley, the Augusta Wine Company. In 1889 Mount Pleasant Winery was founded in Augusta. The Missouri River Valley grew to become the second largest wine producing state in the United States, prior to the 18th Amendment, which enacted National Prohibition – the ban of alcoholic beverages. (Ohio was the first largest wine producing state at the time.) When Prohibition took effect in 1919, government agents forcibly removed vines from the local growers and wineries, along with destroying their wine making equipment. When the 21st Amendment was put into place, repealing Prohibition in 1933, little remained of the wine industry in Missouri. High liquor taxes and license fees lingered for decades preventing the wine industry from truly reestablishing itself. Minus a few. In 1965 some of Missouri’s oldest wineries began trying to restore the region. Stone Hill Winery began operating again in 1965 and St James in 1970. The families that opened these wineries were instrumental in the creation of the Missouri Wine and Grape Program in the 1980’s. The program helped establish a new tax on wine and provided the establishment of the Missouri Wine and Grape Program. This new group also helped to make Missouri the home to the country’s first designated American Viticultural Area (AVA). The Augusta AVA in Missouri was federally recognized as an AVA on June 20, 1980. 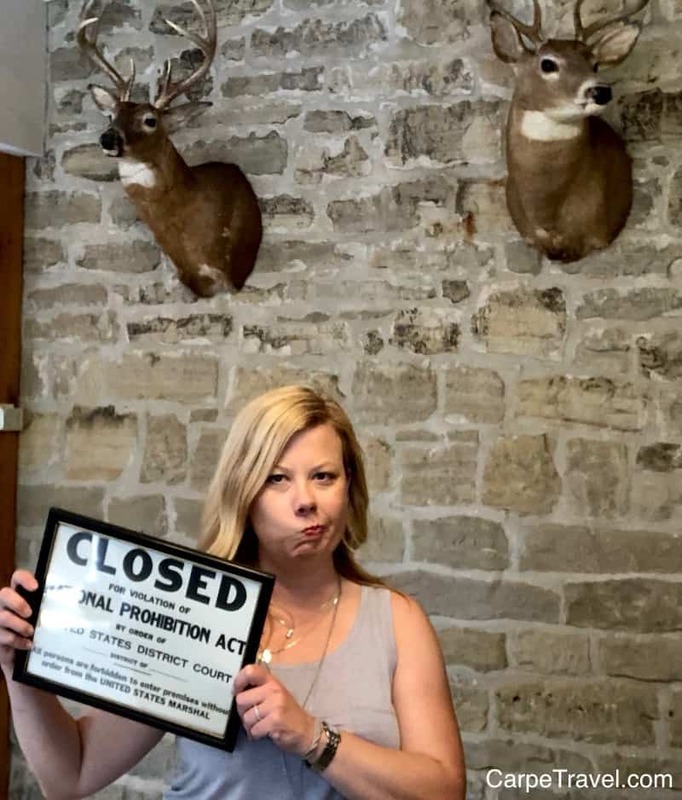 Seven California districts and one in Oregon had filed applications with the Bureau of Alcohol, Tobacco and Firearms; however, the honor went to the 15 square mile area surrounding Augusta, Missouri. The bureau cited the unique soil, climate and wines, as well as Augusta’s long history as one of America’s oldest and foremost grape and wine districts. Napa Valley was the second AVA named after Augusta on February 27, 1981. Wine regions thrive between the 30-50 parallel of the equator. Missouri falls right around the 40th parallel, making it an ideal wine region. However, visitor will find the state doesn’t necessarily produce grape varietals they are familiar with, but rather varietals that thrive in the region. Which, is frankly what ALL wine regions should be doing…grow what grows well. The Missouri grape varietals include Catawba, Cyuga White, Chambourcin, Chardonel, Concord, Norton/Cynthiana, St. Vincent, Seyval Blanc, Traminette, Valvin Muscat, Vidal Blanc, Vignoles. Fun Fact: In 2003, Missouri named the Norton grape as the official state grape. 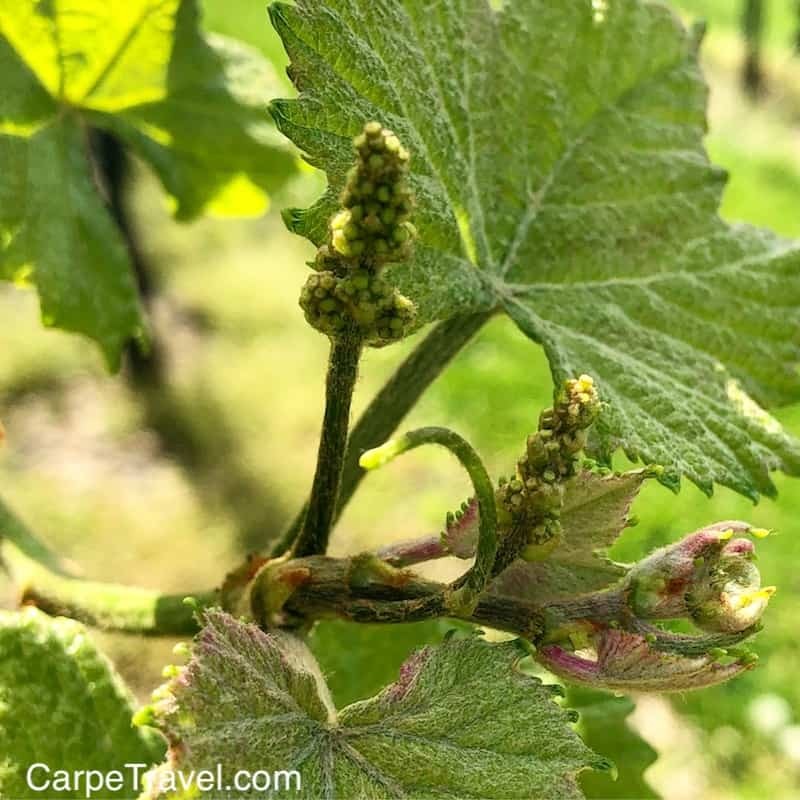 The Norton grape is also known as Cynthiana and Virginia Seedling. The grape is actually a Vitis aestivalis and was originally found in 1835 near Richmond, VA. (People most commonly know wines from Vitis vinifera grape varieties, such as Chardonnay can Cabernet Sauvignon.) The Norton grape is one of the most disease resistant grape varieties with some resistance even to black rot. It makes a dry red wine that is medium bodied with some fruity overtones. These are super, tiny, baby Norton grapes at the beginning of the 2018 season. Missouri is home to five federally recognized AVAs – Augusta, Ozark Mountain, Hermann, Ozark Highlands and the Loess Hills. The Missouri Wine Country is also home to more than 130 wineries and 11 wine trails. Here we will break out the different AVA’s and trails within each. Make sure to click over for more details on each region. We’re busy bottling this information for you! This Missouri AVA is the newest to the state. It was added in 2016 and is shared with Iowa. There are not currently any Missouri vineyards within this AVA. Yet. When wineries are built, bed-and-breakfasts, restaurants, motels, craft shops and other tourist attractions are soon follow. The number of accommodations and things to do continue to grow so this list will be updated with new spots. (Let us know if you have some MUST DO’S.) Here’s our recommendations where to stay in Missouri wine country. 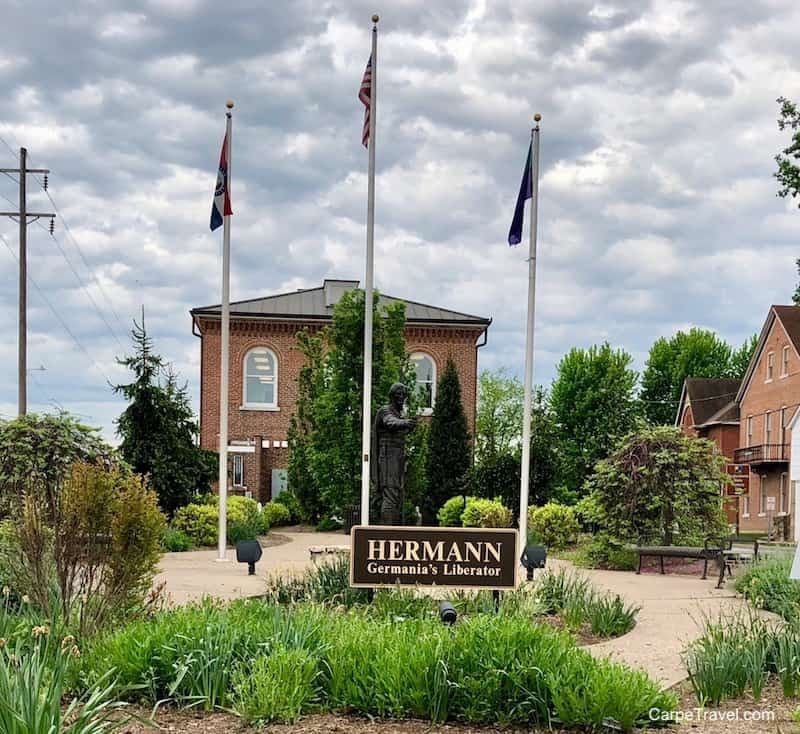 The town of Hermann in the heart of Missouri wine country has more B&B’s per capita than any other town in the country. In other words, there are a variety of options for quaint accommodations. Our favorites include the following. Independence Uncorked is the largest wine festival in Missouri. It features 25 Missouri wineries sampling several of their wines, a guest spirits distiller, and over 2600 attendees. The day will also feature art, music, beer, food booths and wine classes. The festival is hosted at the Bingham-Waggoner Estate, an 1852 mansion and estate once owned by George Caleb Bingham, the famous Missouri artist. Proceeds from the events will go towards various national and local charities supported by the Rotary Club of Eastern Independence.